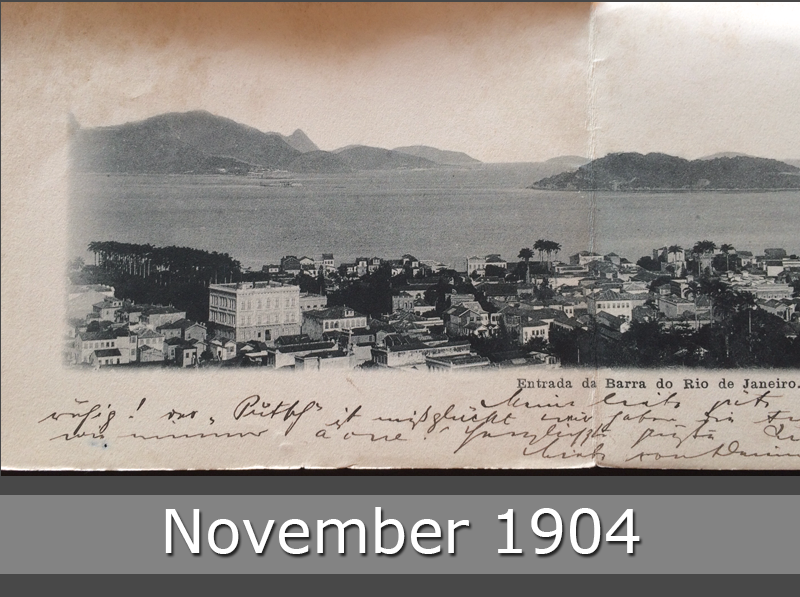 The Bay of Rio de Janeiro in 1904. 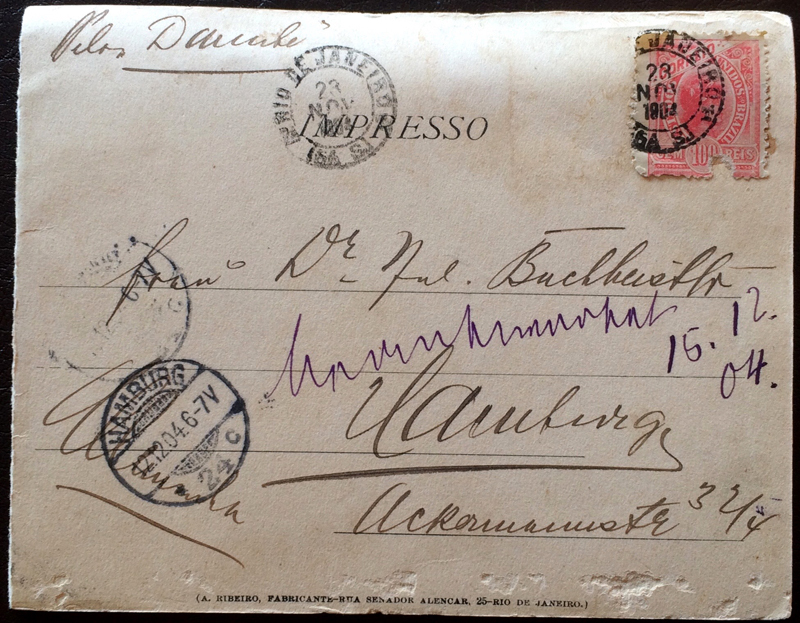 This postcard was folded so that the double width image was inside. It was send from Brazil to Hamburg in Germany.